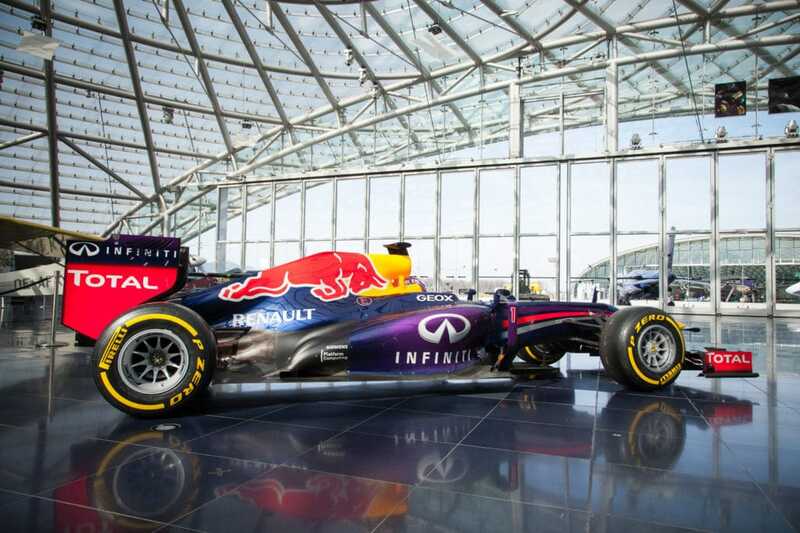 Hangar-7 is the favourite venue of Dietrich Mateschitz, who became famous for inventing the Red Bull energy drink. The wealthy Austrian marketing guru has more than 5 billion euros worth of assets to his name and advertises through a number of extreme sports industries. 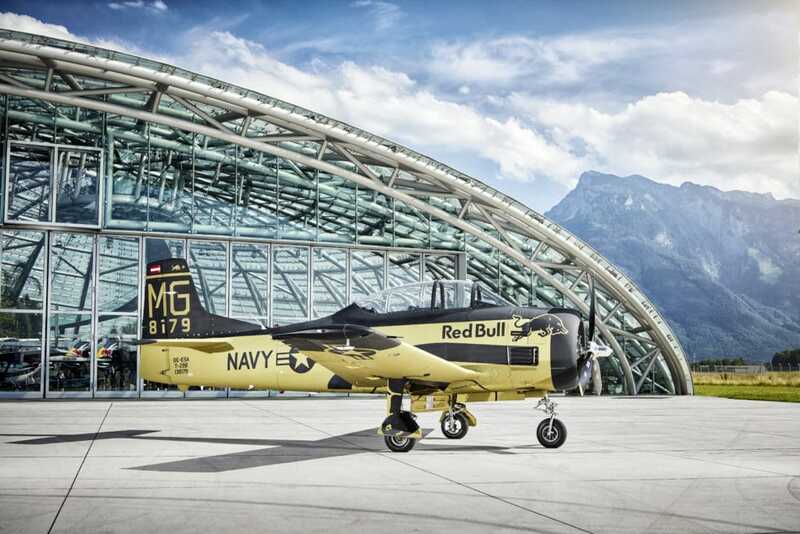 He shares his love of aircraft with his friend, the pilot Sigi Angerer, which led to the idea about using hangers at Salzburg airport to store their rare legendary aircraft. Both hangers were opened in 2003. There are actually two hangers – numbers seven and eight – however, Hangar-7 is more well-known and popular as it contains a collection of legendary formula one cars, motorbikes and collectors’ aircraft. Among them, the famous Lockheed P-38 Lightning and the North American B-25 Mitchell, as well as other aircraft, and the exhibits are changed and supplemented on a regular basis. 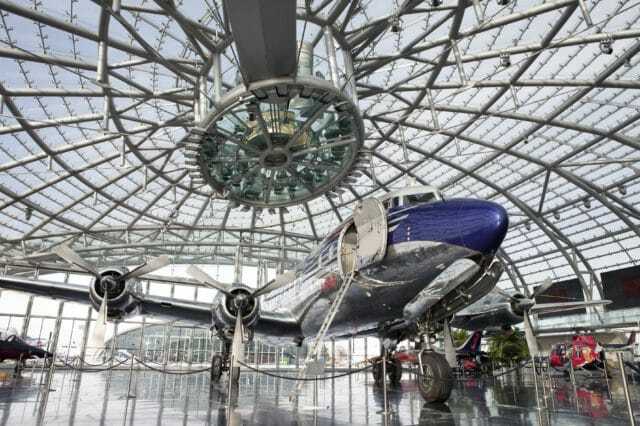 Meanwhile, in Hangar-8 aircraft are restored, including the successfully perfectly restored Douglas DC-6B, which once belonged to the former Yugoslav leader Marshall Jozip Brod Tito, and which was brought all the way from Namibia. 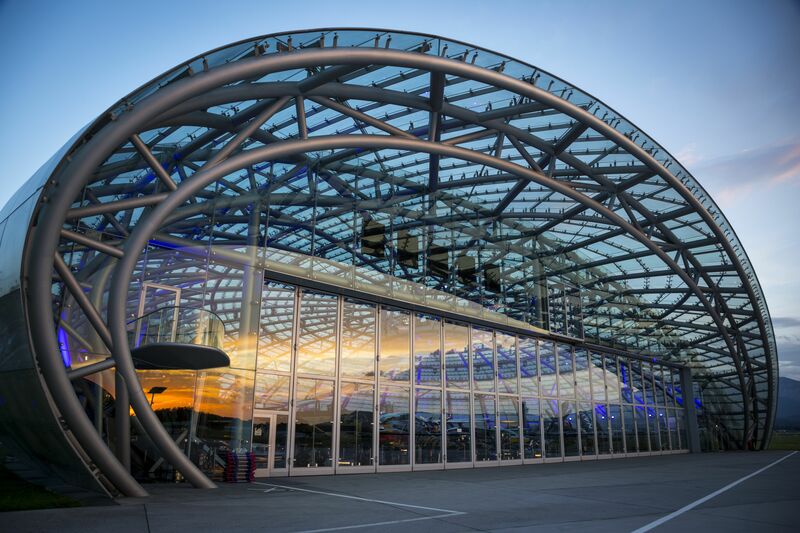 The original idea and a passion for flying soon resulted in the opening of a multi-purpose centre, which is a special venue that has no match in Austria. It is visited by around 200,000 people per year. In addition to the Carpe Diem Lounge-Cafe and the Mayday Bar, the centre also houses a TV studio where talks shows are filmed for Red Bull TV. At the entrance you are greeted by attractive hostesses in blue uniforms, whilst inside awaits a kind of hybrid between a museum, top-class restaurant, special venue and designer lounge. A subtle smell of kerosene is also in the air, which is sure to bring a smile to the faces of petrol heads. 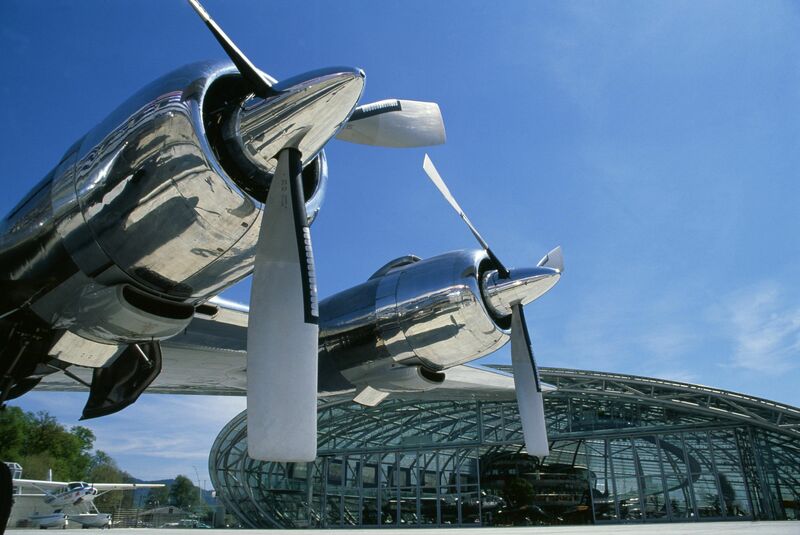 All the aircraft are still in working order, including some of the flying old-timers. 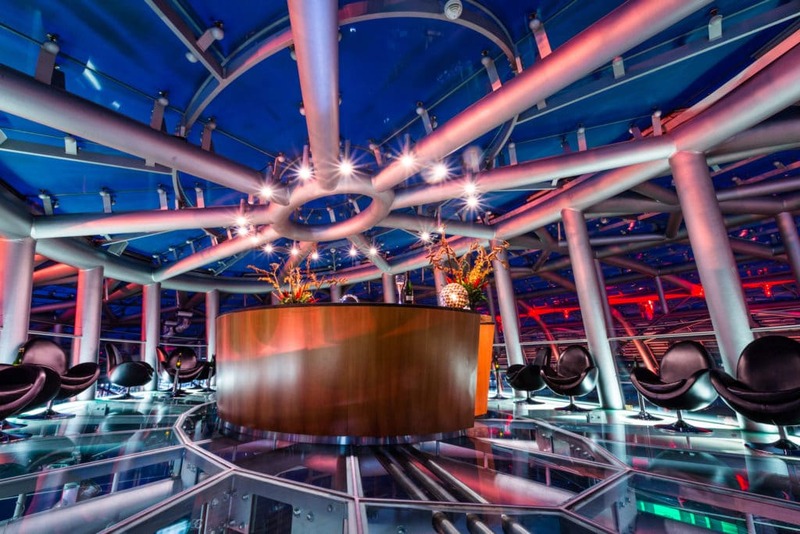 Restaurant Ikarus is a gathering place for some of the world’s best chefs and hosts a different top chef each month. Many among them have been crowned with Michelin Stars. The best table is the Chef’s Table in the kitchen, which is actually a large barrel. At the time of our visit, the 30-year-old Korean chef Mingoo Kang was the guest chef. Despite his tender age, he is credited with the popularisation of Korean cuisine, which, in his opinion, belongs somewhere between Japanese and Chinese cuisine. 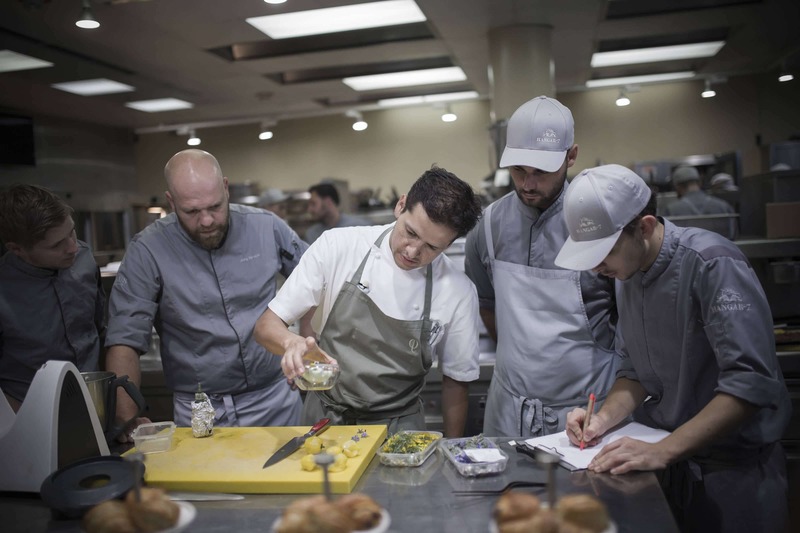 His culinary creations are real works of art, which, of course, would not be possible without the exceptional team of the restaurant’s permanent chefs and other staff. Every month the team face new challenges and recipes from some of the world’s best chefs, which they must ensure are transformed into a flawless culinary experience. 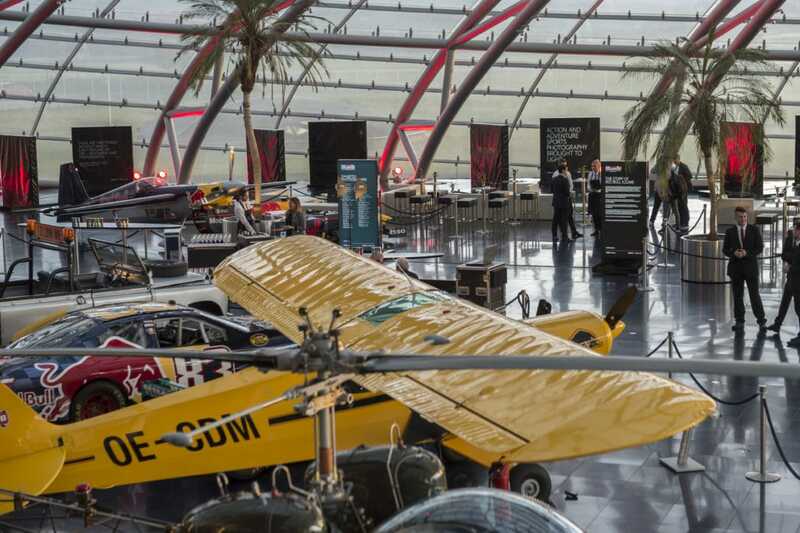 The space can be hired for events, under the condition that the management of Red Bull agrees. Co-branding with one of the strongest global brands is taken very seriously. There are multiple areas available for events. The Members Club on the third floor in Hangar-7 has a capacity for 40 participants, while the first-floor Restaurant Ikarus can accommodate around 100. The exhibition area of the hangar has the largest capacity and is suitable for approximately 300 participants. Approximately 30% of Red Bull’s income is invested into various, and mainly very unusual, types of sports, such as freestyle motocross, X-fighters and Crashed Ice. Just for comparison, for such purposes Coca Cola spends around 9% of its income. Red Bull is a philosophy and way of life, which is driven by numerous events. The core of all events is adrenaline and daring – be more daring and move borders – and, above all, expand and enjoy the company’s philosophy and respect its community. It is this basic philosophy of the founder of the company that means that Red Bull doesn’t bring products to consumers, but rather, to the contrary, it brings consumers to products or events. 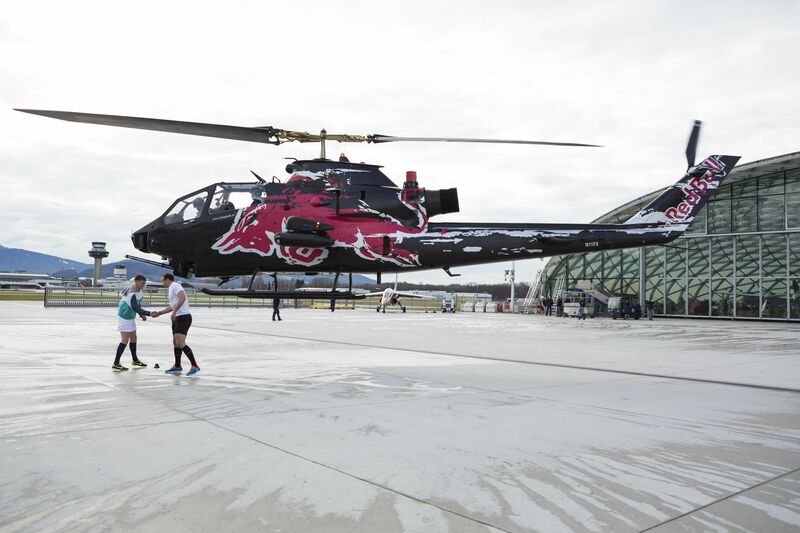 Red Bull has left an indelible mark on Salzburg as well as the events industry. 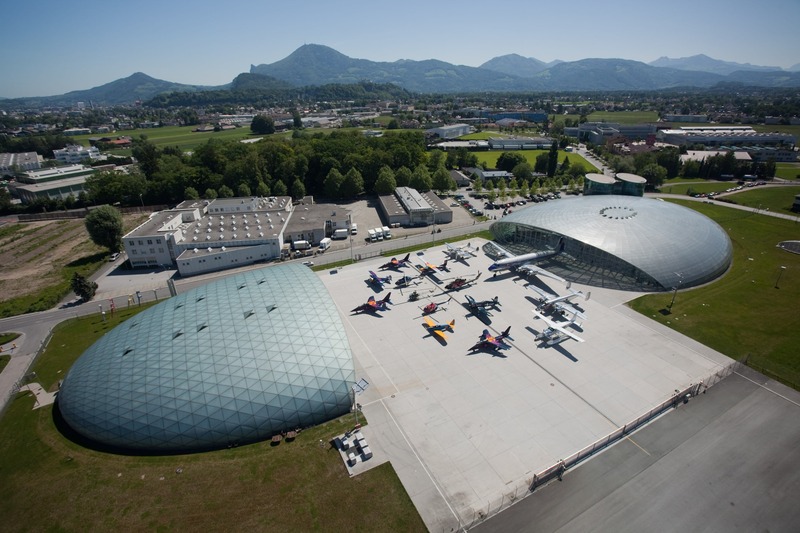 Therefore, a visit to Salzburg’s hangars are highly recommended.